The Kedah flood in the past week has been depressing and many families have been affected, not just because of hygiene problems, but also a sense of belonging. 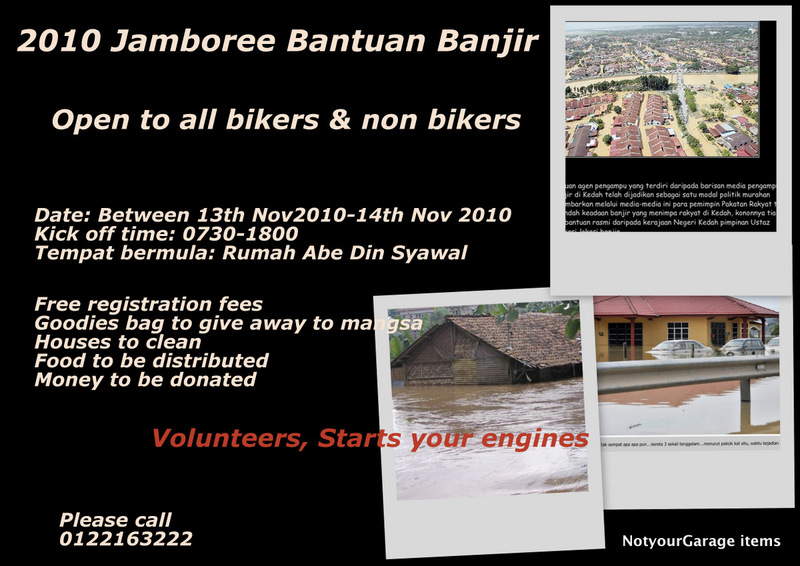 A cycling group from Kedah is calling all cycling groups whether or not from Kedah to help and volunteer in helping those in need. Meeting Point: No. 61, Jalan Batu 5 1/4 Simpang Empat, Alor Setar, Kedah. We participants of certain events have always been shown goodness with rainfall of goodies. This time, why not you come over and show some love? All cash donations will be ONLY used on purchasing goods for distribution. – Cooked food for weekend event support. – Transportation: Lorries, Pick up trucks & cars. – Cleaning : Brush, Detergent, Pails, Scoops, and anything you can think of. For more information, visit the Official Website and Facebook page.